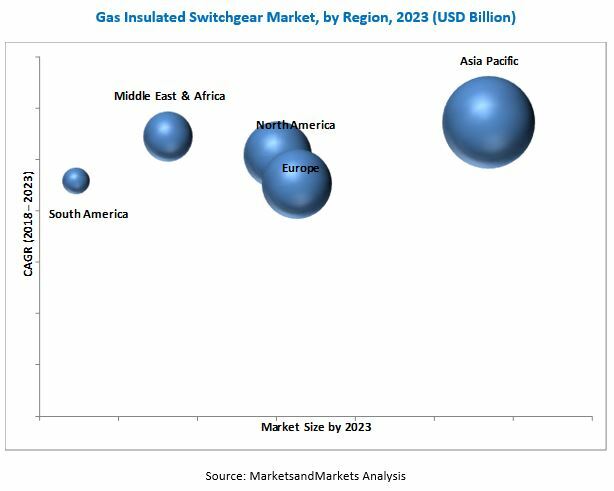 [174 Pages Report] The global gas insulated switchgear market was valued at USD 16.94 Billion in 2017 and is projected to reach USD 28.09 Billion by 2023, at a CAGR of 8.73% during the forecast period. The base year considered for company profiles is 2017. Whenever information was unavailable for the base year, the prior year has been considered. To define and segment the gas insulated switchgear market with respect to type, voltage, installation, end-user, and region. This research study involved the use of extensive secondary sources, directories, journals on power generation technologies, and other related markets; newsletters and databases such as D&B, Bloomberg, Businessweek, and Factiva, among others, to identify and collect information useful for a technical, market-oriented, and commercial study of the global variable speed generator market. The primary sources include several industry experts from the core and related industries, vendors, preferred suppliers, technology developers, alliances, and organizations related to all the segments of this industry’s value chain. The research methodology has been explained below. After arriving at the overall market size, the total market was split into several segments and sub-segments. The figure given below illustrates the breakdown of primary interviews conducted during the research study based on company type, designation, and region. Major players operating in the market include ABB (Switzerland), Siemens (Germany), Hitachi (Japan), Toshiba (Japan), and Nissin Electric (Japan). 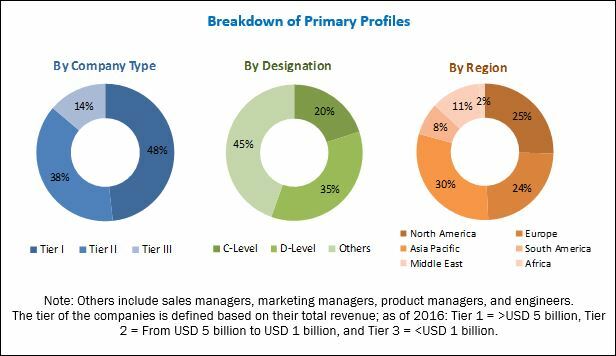 The global gas insulated switchgear market is projected to reach USD 28.09 Billion by 2023, growing at a CAGR of 8.73%, from an estimated USD 18.48 Billion in 2018. This growth can be attributed to the growth in renewable power generation, increasing investments in the transmission & distribution infrastructure, the rise in energy demand and limitations of space availability in densely populated urban areas, and government initiatives towards improving electricity access. On the basis of end-user, the gas insulated switchgear market is segmented into power transmission utility, power distribution utility, power generation utility, infrastructure and transportation, and industries & OEMs. Power distribution utility is expected to grow at the highest CAGR during the forecast period. Space constraint is one of the major challenges in the development of distribution grid infrastructure projects which can be overcome by GIS substations and create new revenue pockets. The gas insulated switchgear, by type, is segmented into high voltage gas insulated switchgear and medium voltage gas insulated switchgear. Medium voltage gas insulated switchgear is expected to grow at the highest CAGR during the forecast period. This segment is driven due to rapid improvement in the power distribution sector through the implementation of smart grid and smart metering technology, gas insulated switchgear are gaining importance over conventional switchgear and AIS. The gas insulated switchgear market, by voltage, is segmented into distribution voltage, sub-transmission voltage, high voltage, extra high voltage, and ultra-high voltage. Extra high voltage is expected to grow at the highest CAGR during the forecast period. This segment is primarily driven by technical superiority of gas insulated switchgear over air and vacuum switchgear. In this report, the gas insulated switchgear market has been analyzed with respect to five regions, namely, North America, Europe, Asia Pacific, South America, and the Middle East & Africa. Asia Pacific is estimated to grow at the highest CAGR during the forecast period. Factors such as increased power consumption; government mandates on energy efficiency; rising influx of renewable sources in the energy mix; and renovation, modernization, and upgradation of aging hydropower plants are to drive the gas insulated switchgear market in the region. The high cost of equipment as compared to AIS and stringent environmental & safety regulations could act as restraints for the gas insulated switchgear market. The leading players in the market include ABB (Switzerland), Siemens (Germany), Hitachi (Japan), Toshiba (Japan), and Nissin Electric (Japan) Contracts & agreements was the most commonly adopted strategy by the top players. This was followed by new product developments, investments and expansions, joint ventures, partnerships, collaborations, and mergers & acquisitions.